It is not until he glimpses a young woman with a wasted face, dressed all in black, at the funeral, that a sense of profound unease begins to creep over him and take hold, a feeling deepened by the reluctance of the locals to talk about the woman in black or what happens whenever she is seen. And Kipps has to stay on in the lonely house, sorting out Mrs. Drablow's papers, when the mist begins to enshroud both it and its surrounding graveyard and the high tide cuts it off from the world beyond. This has been my favourite story since I saw it first as a play. Since then I have often, read, listened and watched it repeatedly. This book gave me goosebumps! It's a really creepy story - don't listen at night in bed like I did!!! It prompted me to watch the movie (the old 1980's version) which is also genuinely unsettling. I loved listening to this book. 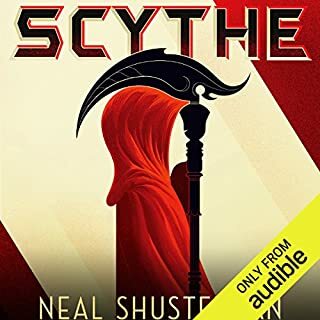 I was caught up in the story right away and could feel the horror and fear the character in the story felt by the way the narrator read and related the events of the story. I got everything I expected from reading a "Ghost Story." I would recommend this book to anyone who appreciates a good ghost story. Surrounded by family on a snowy Christmas Eve, the fireplace ablaze, the tree bedecked and aglow....what secret memories could possibly cause the senior Arthur Kipps to tremble with terror when family members turn out the lights and begin telling harmless ghost stories around the tree? Woman in Black is an engrossing classic ghost story--no bells no whistles--with a lush style of writing that lays out an almost palpable atmosphere. Paul Ansdell perfectly captures the spirit (so to speak) of this post-Victorian placed tale with his narration. Very enjoyable, easy listen--and (at least at the time of this posting) a nice little price for the entertainment value. This is the perfect ghost story - enough detail to bring you into the scene, but not overwritten to make it tedious. Told in the first person, you experience the mystery along with the main character. (I just loved the brave little dog, Spider). Wonderfully read by Paul Ansdell. The story moves right along and is the perfect length - a great way to get through a 4 hour road trip. 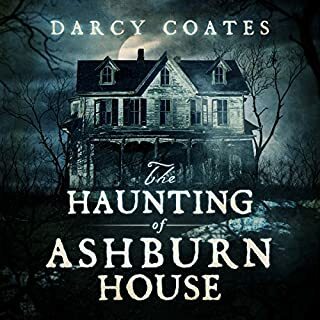 This book is a great one to hear for those who like a ghost story with an actual ghost, rather than mere suggestions of ghosts. Paul Ansdell's narration was excellent, I thought, as well. He was great at making different accents for various characters, and for expressing the panic and fear felt by the protagonist. 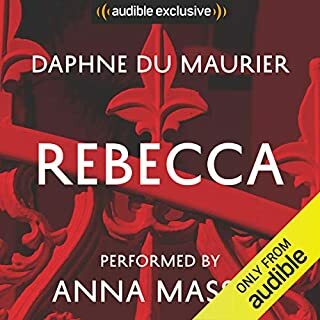 There are two reasons why I did not give this 5 stars: One is b/c I like to be driven to fear when reading a supernatural story, and while The Woman in Black was engrossing and full of supernatural occurrences, it didn't make me shudder or wonder about shadows in the corner of my room at night. The 2nd reason is b/c I was disappointed with the ending, which I will not spoil for anyone reading this who has not yet listened to the story. What made the experience of listening to The Woman in Black the most enjoyable? I loved how the story moved along and took you with it. It made me want to hear more. Toward the end it did. I can't say that I was on the edge of my seat the whole time. However I was there enough to want more. What does Paul Ansdell bring to the story that you wouldn’t experience if you just read the book? He did a great job reading it as well as giving each character their own voice. I love the accent, it just fit. The last time he see's the woman in black and what happens. It was horrible and sad. I found this book on a recommendation. I am so glad I followed up on it. I hope the rest of her stories are as wonderful as this one was. It is a must read if you like the horror and suspence genres. Wonderfully creepy -- just excellent. A classic tale of haunting, almost Poe-ish, and a pure pleasure. I've enjoyed everything Susan Hill has written, and this novella was no exception. A wonderfully-told tale, lots of things that go bump in the night -- or even during the daytime, with plenty of shrieks and groans, but -- interestingly enough -- no undue blood or gore. 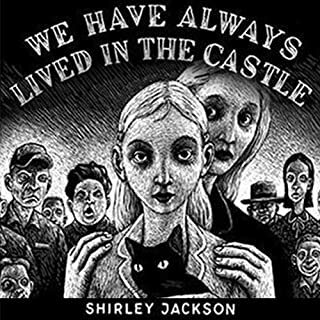 Just a good old fashioned ghost story, The narrator was perfect -- just enough of an accent to make it exotic and sound as though it was a tale from long ago. Highly recommended. 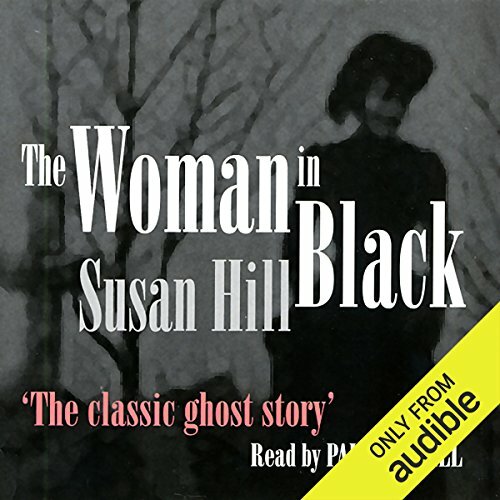 Would you consider the audio edition of The Woman in Black to be better than the print version? I haven't read the print version but saw a mini play of The Woman in Black. The audio version brings more depth to the characters. No change at all. Was good. The voice, the tones which gave you a visual of the story. The audio version had more to it then the mini play. The play didn't go into the life of the characters. More just a gloss over. I did not have high expectations for this novella, having watched portions of the movie starring Daniel Radcliffe which was over the top with gruesome horror and jump out of your skin moments. The book, on the other hand, is much more subtle, to chilling effect— giving me goosebumps on more than one occasion. I loved the Gothic style and creeping horror that slowly envelopes the main character. Narration is pitch perfect. A wonderful, creepy Halloween treat! Great story, reads like a diary account. The narrator is fluent and expressive. Recommended. Spooky, atmospheric book. A real treat for a winter's evening! Suasan Hill always writes good books and it is read convincingly too. I really loved this, so atmospheric and the narrator was great, he really captured the panic of the main character. I really loved to the language in this, so descriptive. You could nearly see everything happening in front of you as you listened. I would definitely recommend this, a great homage to the classic ghost story. I have seen the theatre production of this book about three times now and I loved every one. The book was just as good if not better. I love descriptive books and this one was very much one of those. The narrator was good too. Even though I knew what was coming I couldnt put my ipod down and got quite cross when it run out of power! This is one of those books that i could listen to year after year. Marvelous! One of the most spine chilling ghost stories ever written. Atmospheric, absorbing, utterly spooky. Be warned, if you are of gentle spirit, this story is not for you. It certainly kept me awake a good few nights and I do not consider myself to be an overly sensitive soul. It will play havoc with your nervous system! 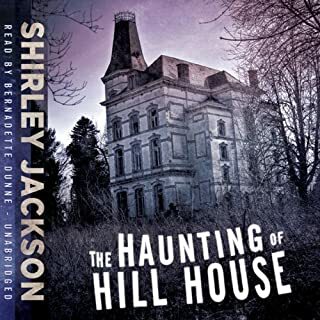 Susan Hill is a wonderful novelist and her love of classic ghost stories has clearly driven her to write her own. Master of the ghost story M.R.JAMES would have been proud to have called this story his. This is a dark, chilling and wonderfully mystical tale, brilliantly narrated by Paul Ansdell. Set in, or around, the Victorian era, the story superbly envelops and entwines its characters, ghostly atmospheres and settings. At times, one almost gets the feeling of being there, and more than once did I find the hairs prickle at the back of my neck! I am not surprised this book has now been adapted to the screen -it definitely deserves the attention! Susan Hill has a talent for writing stories that unnerve by creating an atmosphere of creeping terror, rather than in-your-face horror. I have seen The Woman in Black at the theatre, and didn't think it could be improved on, but Paul Ansdell's utterly convincing narration took the story to a whole new level for me. I will be looking for other books narrated by him. If I may offer one piece of advice thought.... please do not do as I did and listen to it as you drive on your own down dark country lanes in the November fog!! 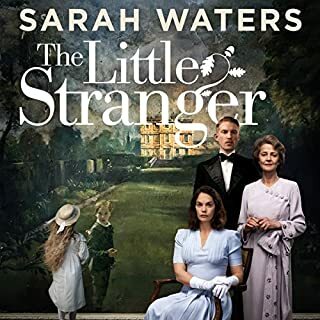 I finally got around to listening to the unabridged reading having first heard the radio dramatisation and then seen the stage play and now feel that is not the best order. Having been scared out of my wits by the stage version, I found the book much less frightening as the play heightens the shocks in the story. It is a good ghost story and is well narrated. It has the classic style of the narrator reliving the events long afterwards around the fire on a dark winter night. The climax is very chilling and the theme of grief and loss pervades the whole story with the narrator forever haunted by his experiences. Don't judge this story by the Film!! I listened to this book purely because Susan Hill wrote it! and I love her Simon Serrailer series!! The book did not frighten me at all - it was nicely suspenseful and kept me listening. But the ending truly brought it all together for me almost like a Jeffery Archer short story. When I saw the film I was disappointed and can only be thankful that I read the book first or I would not have touched it with a bargepole after seeing the film. Saying that, the film diverges from the book so much that even if you have seen it - go and read /listen to the book! It will be just as good because the film does not tell you the real story.